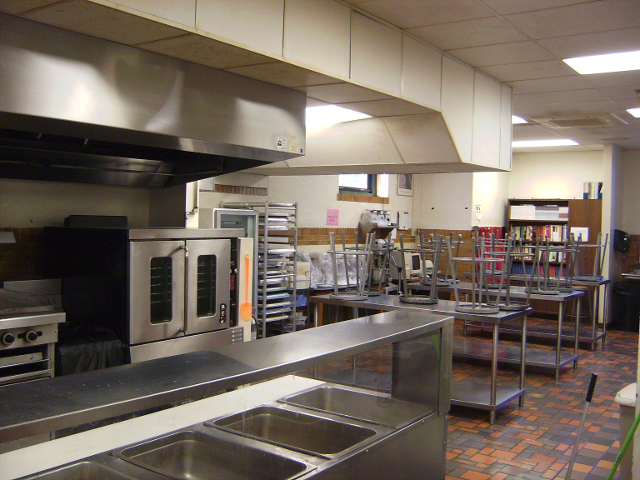 At the end of two summers ago the board of education came knocking on my door to let me know that they want to renovate the culinary room over the summer. Of course that is great news because the kitchens haven’t been redone since the late sixties early seventies–yes, we still have the olive green stove hoods and refrigerators! With the pressure on to come up with a room design and figure out what kind of new equipment we need, I’ve decided that it would be a good idea to share the process with all the rest of you Family Consumer teachers out there! We have an okay culinary program right now but it is mostly like home cooking and not so much culinary. So we decided to visit neighboring schools that we have heard have excellent culinary programs. I especially suggest visiting a vocational/technical or culinary school because they concentrate in the subject and most likely have it set up more like a classroom than merely visiting a restaurant kitchen. Take pictures on your visits of each classroom so you can show your builder/designer what you like and don’t like. Ask lots of questions at each school because you never know what nugget you may find! * What are your course sequences? * Is there something that you wished you could have purchased but didn’t? * What is the most valuable piece of equipment that you wouldn’t want to live with out? 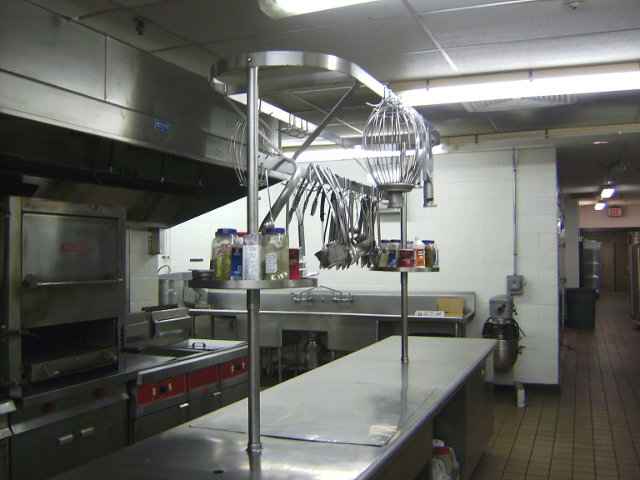 * Are there any state regulations that you know about for new kitchens? * What text book do you use? Do you recommend it? * How do you fund your program? * Do your students get college programs for talking your classes? How did you set that up? It is a whole lot easier to show the designer/builder pictures of what you are looking for or not looking for than putting it all into words. After all, how likely is it that you will have another kitchen renovation in your teaching career? Lets get it right the first time! If the project goes over budget or you are denied certain things what on your list could you absolutely do with out? What on your list do you absolutely necessary? A way to drive costs down on a project is to purchase the equipment in phases. You may want to divide your equipment into phases but still plan (leave spaces) for those items under the hood and in your classroom. After you have had lots of meetings with the designer and looked through equipment manufacturers/suppliers catalogs, the board (and a whole bunch of other people) usually has to approve the design. 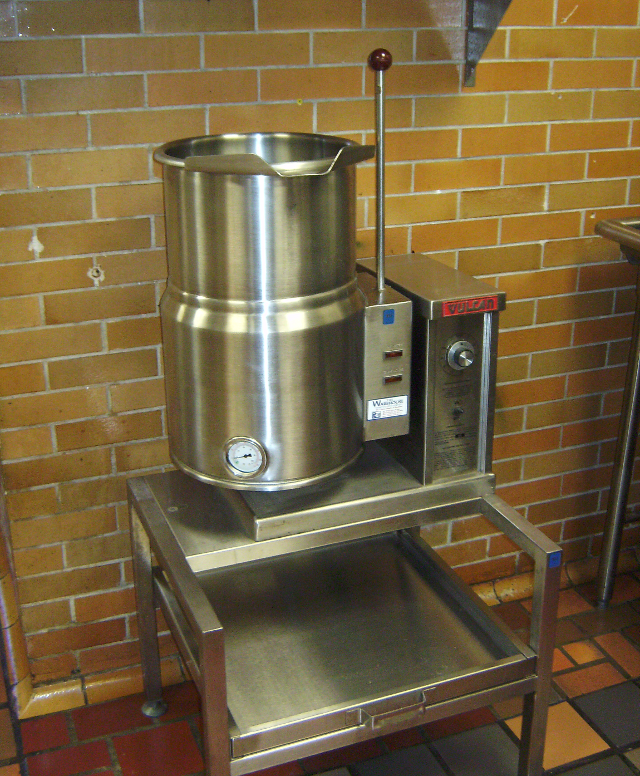 Other requirements that need to be met are things like making at least one kitchen Handicap assessable, making sure you have the proper hoods over stoves and fire extinguishers for the Marshall approval. All these regulations you can look up but any builder should know or be able to find out specifics for you. Some times schools must bid out the actual building of your room but these matters will most likely be taken care of by a central office/board of education staff member. It is also possible to get grant money to redo culinary rooms with PERKINS money. Plan ahead for any time that you will have to be out of your room during the semester. It is still possible to teach the class if you plan it right or have a portable demo counter. 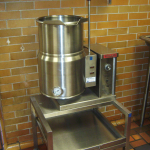 Another option is to make arrangements with your school’s lunch program to see if you could use their kitchens when they aren’t using them or for quick demonstrations. Like I mentioned in the beginning of this post, it has been over two years since the start of my culinary room’s project and promises like meeting certain deadlines don’t always happen. Some advice from project management: the project will most likely take longer than expected. Plan on it. Have a backup plan but don’t back down and don’t give up. I need help with lesson plans and safety rules.